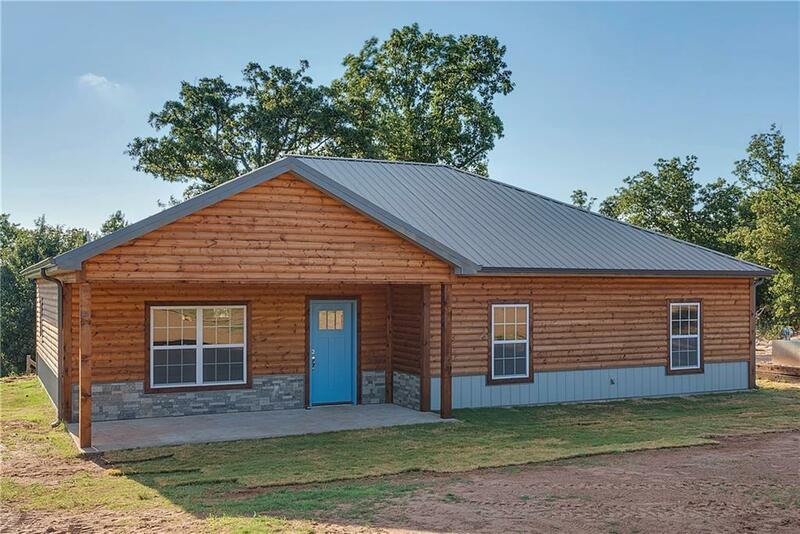 Brand New 4 bedroom home for under 170k on 2.5 acres! At this price point you won’t find another home with the high end finishes and attention to detail this one offers. Open floor plan with the kitchen, dining and living room greeting you as you walk in with custom cabinets, stainless steal appliances, wood look tile and the beautiful red oak topped island . The home includes 4 large sized bedrooms, with tons of storage, carpet and ceiling fans in each room. 2 full size bathrooms, all complete with custom cabinets and granite. Home is on 2 lots giving you a total of 2.54 acres mol. There is some fencing and cross fencing. The whole home has been sprayed with foam insulation, which will keep your utility bills low! There is a 12 person storm shelter already in place for those Oklahoma spring storms. Plenty of room to build your dream shop and livestock is welcome! All of this within 30 minutes of Tinker, 15 minutes of Shawnee.